Learn the health benefits of CBD oil and how it can be enjoyed in CBD edibles like CBD gummies and other foods. 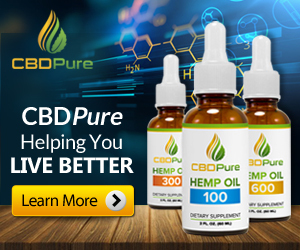 What is CBD oil? Is it good to eat? CBD oil is a therapeutic oil commonly produced from the cannabis plant. Without getting too technical, cannabis yields two main active chemical compounds (a.k.a. cannabinoids): THC and CBD. CBD (cannabidiol) = the second most well-known chemical compound derived from cannabis that won’t get you high or “stoned” (certain non-cannabis plants also contain CBD); this is used to treat a host of medical issues including anxiety, epileptic seizures, inflammation, etc. Marijuiana is a cannabis plant with high THC (5-35%). Hemp is a cannabis plant with low THC (<0.3%). CBD oil is safe to ingest and even comes in all kinds of flavors from strawberry to root beer. It’s a featured ingredient in many edibles (i.e. any food infused with cannabis). It provides significant health benefits due to its anti-anxiety, anti-seizure, anti-inflammation and anti-psychotic properties. Are CBD edibles the same as weed edibles? Will they give me the munchies? CBD edibles primarily contain CBD and have little to no THC. This means they won’t give you the mind-altering, hunger-inducing side effects that are usually associated with weed, which is high in THC. Although CBD won’t give you the munchies, be aware that some edibles contain a mix of both CBD and THC. So, if you want to avoid getting high or getting hungry, double check the CBD and THC content. Weed edibles (a.k.a. cannabis-infused edibles, cannabis edibles, marijuana edibles, THC edibles, pot edibles, ganja edibles, etc. ), on the other hand, primarily contain THC. 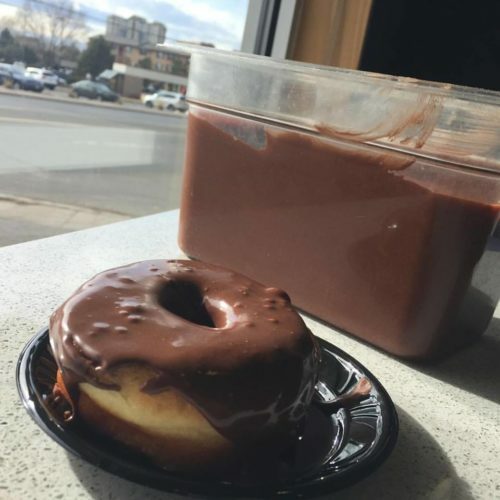 It is what people usually mean when they simply say “edibles.” The effects of ingesting weed edibles are longer and stronger than smoking marijuana due to the difference in the metabolic processes. Unlike smoking, which causes the THC to travel directly to the brain, edibles force the THC to pass through the stomach and liver. As a result, it takes time to kick in (usually 30 mins – 2 hours), but effects can last several hours…This is why many medical marijuana patients tend to lean towards marijuana edibles versus smoking marijuana. The length of time it takes for CBD oil to work depends on various factors including the potency and method of use. If taking CBD oil orally, specifically sublingually (under the tongue), it can take about half an hour to kick in. It will also last a bit longer—typically around 4 hours. 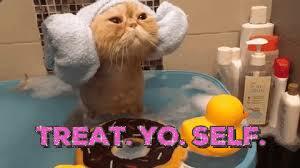 CBD edibles will usually (along with topical use, like a lotion) take about half an hour to an hour to work. This depends on how quickly your body type and digestive system absorbs the ingredients. 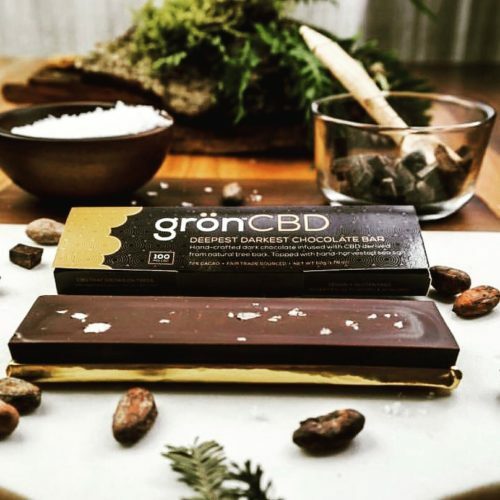 Those who eat CBD edibles on an empty stomach will feel the CBD work faster. The effects from this method often lasts the longest, for about 4-6 hours. 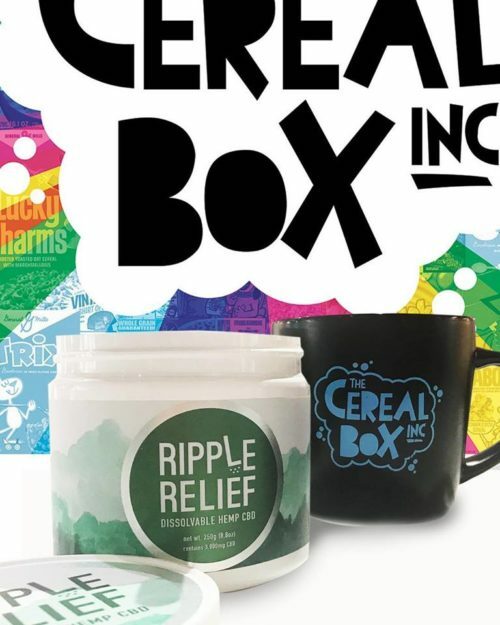 What kinds of CBD edibles and weed edibles are there? There are many different types of publicly-available edibles that are infused with CBD and/or THC. These include: brownies, cookies, chocolates, taffy, hard candies, macaroons, lollipops, popsicles, ice cream, dried fruits, beef jerky, nuts, pizza sauce, juices and much more. Essentially, any type of food can be converted into an edible by infusing it with CBD or THC—the sky’s the limit. Besides the obvious baked goods like brownies and cookies, some popular CBD edibles include: CBD gummies, CBD chocolate bars, CBD taffy. CBD juices and CBD water are also becoming more widespread. In addition, popular weed edibles include: cannabis caramels, cannabis macarons, weed jerky, and cannabis kombucha (cannbucha). Wait, are CBD oil and CBD edibles even legal? What about weed edibles? CBD oil and CBD edibles are legal in every state as long as it has less than 0.3-5% THC content, depending on the state. As of 2019, only Idaho, Nebraska and South Dakota have restrictions on CBD. Weed edibles, on the other hand, are legal for medical and/or recreational use in the states listed below. 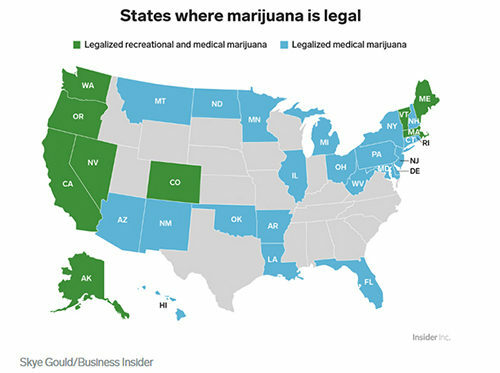 Keep in mind that the use of marijuana is decriminalized in these states only for adults 21+. Also, the federal government still deems it illegal, so you can’t use it on federal land like national forests and parks. If you plan to use or ingest marijuana in any capacity, do it responsibly—like anything else reserved for adults (i.e. smoking cigarettes, drinking alcohol, gambling, etc.). Where can I get CBD? 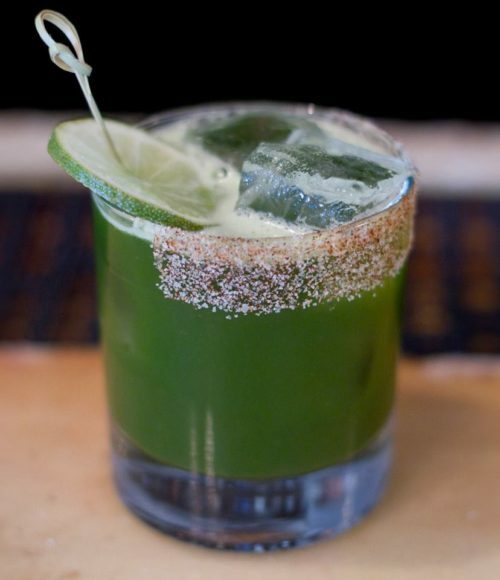 Where can I get CBD-infused foods & drinks? You can find CBD oil here. 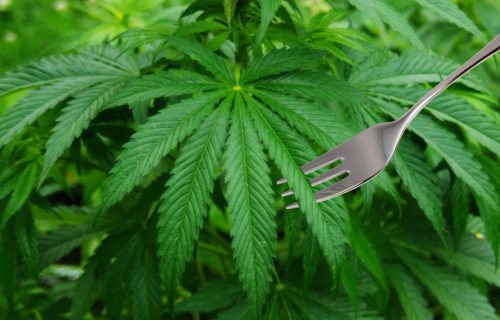 If you’re looking for foods & drinks that contain cannabis, they can only be found in states that have legalized marijuana for both medical and recreational use. 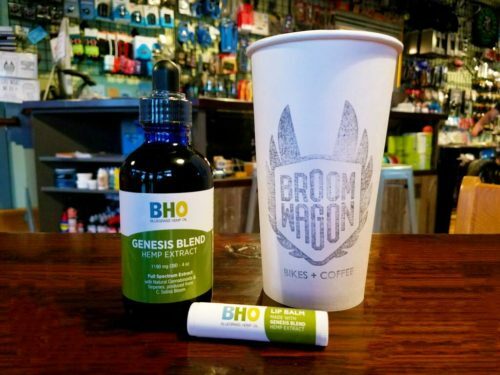 (In the summer of 2018, the state of California began enforcing the prevention of selling CBD in food & drinks since it has yet to be approved by the FDA.) 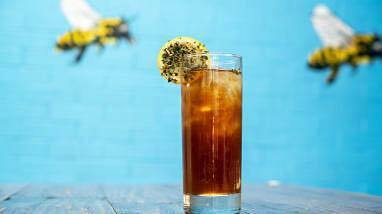 Those who are connoisseurs of cannabis-infused foods & drinks, or “food cannasseurs,” would point you in the direction of these places (below) that push the envelope. 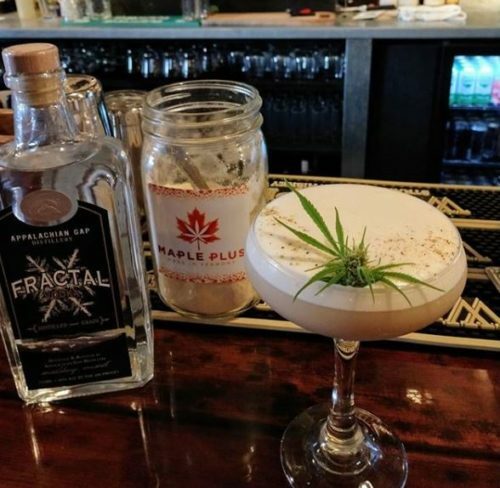 Note: Most places primarily serve CBD cocktails or CBD beer [similar to Two Flowers IPA which can be found in Oregon and Washington], but more food locations will be added over time. How can I make cannabis-infused foods? Well, you can technically add cannabis, or solely the CBD oil or CBD powder to pretty much any sweet or savory food. Just do so responsibly by adding extremely small amounts at a time. If you need some inspiration, here’s a savory CBD recipe that is sure to please. First, rinse the chicken and pat dry. Add a thin layer of salt & pepper. Then, heat the butter, olive oil and CBD oil in pan and mix. 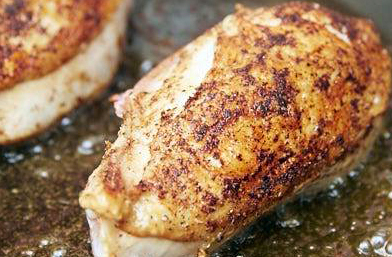 Set the chicken breasts aside on a plate. Cook the onions in the same pan on low heat until browned. Place the chicken breasts back in the pan and add the portobello mushrooms. Mix the ingredients until mushrooms have softened (approximately 4-6 minutes). Lastly, add the olives and mix everything in the pan. Cover with lid until ready to serve. If you’re looking for more ways to cook with cannabis, here are some cookbooks that can help guide your way to another level of cooking.